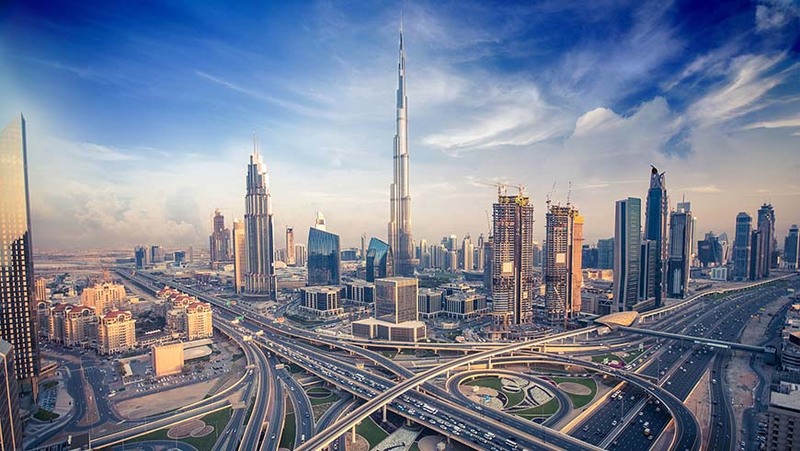 Arab States such as United Arab Emirates shown above, are making steady progress towards achieving Sustainable Development Goals. Photo: Shutterstock. The majority of the Arab States possess all the requisite elements to achieve the Sustainable Development Goals. There’s a young, educated workforce, plenty of natural resources, a notable increase in investments in renewable energy, and a much-needed uptick in efforts to support equality. Climate change, conflict and other related factors threaten to derail this progress and ruin any chances of a Pax Arabica. Innovative and transformative initiatives supported through the United Nations Development System are underway across the region to help countries build resilience to climate change and reach the goals for peace and prosperity that are outlined in global accords such as the Sendai Framework for Disaster Risk Reduction, the 2030 Agenda for Sustainable Development and the Paris Agreement. With 53 active UNDP-supported projects funded through vertical funds – such as the Global Environment Facility, Green Climate Fund and Adaptation Fund – active in 12 countries in the region, progress is being made every day. Here’s an overview of how UNDP support for climate resilience in the region will work toward the SDGs. Learn more on UNDP’s vision for climate resilient development in the region in our new report. Poverty widely varies from country to country in the Arab States – with notable spikes in Least Developed Countries like Djibouti, Somalia, Sudan and Yemen, where droughts, changing rainfall patterns and conflict are putting millions of people at risk, and spiking hunger and malnutrition numbers. Across the region, around 7 percent of people live on less than $1.25 a day, that’s almost 1 out of every ten men, women and children. Ensuring access to financial services in remote locations will play an essential part in ending poverty for the people of the Arab States. One good example comes from Sudan, where progressive microfinance loans are supporting climate change adaptation efforts by smallholder rain-fed farmers, and weather index-based insurance is being linked with micro-finance products, so farmers can protect themselves when catastrophe strikes. More than half a million people are on the brink of famine today in Somalia. According to the World Food Programme “As of May 2018, 2.7 million people cannot meet their daily food requirements and require urgent humanitarian assistance. Another 2.7 million Somalis need livelihood support to keep from sliding into crisis.” Flooding – particularly intense rainfall events that lead to flash floods – is a key pressure point threatening vulnerable communities, nomads and semi-pastoralists throughout the country’s semi-autonomous states. With financing from the Global Environment Facility, Least Developed Countries Fund (GEF-LDCF), the Government of Somalia is working to Enhance the Climate Resilience of Vulnerable Communities and Ecosystems in Somalia. Building climate resilient systems can help people with food security, support the restoration of livelihoods, promote basic services to build resilience to recurrent shocks, and catalyze more sustainable solutions. In real terms, support like this has helped people like Deqa to triple earnings on their farms. In Somalia, “an estimated 300,000 children under age 5 are malnourished, including 48,000who are severely malnourished and face a high risk of disease and death,” according to WFP. In 2017, a drought displaced some 615,000 people here, putting people like Mohamed Ismail Yasin, and his family of six, in danger of becoming yet another frightening climate casualty. Mohamed was able to keep his family from starving by migrating to a sand dam created through a UNDP-supported ecosystems project. In the end, while enhancing climate-resilient farming will not stop droughts, it may just provide that little piece of protection that will prevent them from becoming famines. The region as a whole has achieved near universal primary education, with around 73 percent of young people able to enroll in secondary education. It has also closed the gender gap by promoting parity across all stages of education. Some projects in the region are helping young people to achieve advanced degrees and build the skillset they need to avoid precarious trades such as illegal charcoal sales or enlisting in terrorist groups like Al-Shabaab. One example comes from Somalia, where a Masters Programme in Climate Change and Environmental Sustainability provided scholarships to 30 students. These leaders of tomorrow will be essential in building a more peaceful future in a country where war, famine and poverty are part and parcel of everyday life. The Arab region as a whole has managed to achieve near-universal primary education. Photo: Anita SKV / Shutterstock. UNDP-supported projects in Djibouti and Somalia focus on empowering women by training them on new technologies. In Somalia for instance, women are participating in events on integrative farming techniques, water management and the creation of small-scale businesses using adaptive technologies. In Sudan, a project supported through the Canada-UNDP Climate Change Adaptation Facility (CCAF) sought to alleviate the burden of water and fuelwood collection by increasing access to water with new wells and restored water systems. The introduction of clean butane-fuel stoves further eased the burden of fuelwood collection, reducing cooking time and creating broader positive impacts on gender relations and women’s empowerment in a place where women are the frequent targets of violence, intimidation and other forms of abuse, according to the United Nations Human Rights Office of the High Commissioner. The Governments of Egypt and Sudan, along with neighboring countries, carried out water-balance models to estimate annual and monthly water-balance information that is essential for sustained management of wetlands and lakes in the Nile River Basin. This will enhance the joint management of the Nile River Basin and promote a common understanding of groundwater issues among the riparian countries. In places like Sudan, projects worked to install water storage tanks, solar-powered pumps and improved irrigation systems to ensure easier access to drinking water, as well as improved productivity on the farm. Private manufacturers in Egypt are supplying energy efficient lighting as part of an effort to gradually phase-out inefficient lighting products in the country by 2020. Also in Egypt, private recycling facilities are benefiting from legal, technical, managerial, and operational support to help formalize their role in discarding e-waste. Morocco is installing a one mega-watt solar farm that will provide energy to over 20 percent of Marrakesh’s bus transit system. At the same time, investments in climate information and early warning systems in Djibouti and Sudan will improved evidence-based decision making for future investments in clean energy. In Djibouti and Somalia, UNDP-supported projects promote livelihood diversification and job creation schemes for women and youth. Such schemes include gabion construction, nursery development, reforestation and artisanal production. Women selling local produce at a market. Photo: Free Wind 2014 / Shutterstock. A number of technological advances have been promoted through UNDP-supported projects in the region, including sand dams and fog harvesting. Sand dams permit runoff to infiltrate through sandy river beds and have been demonstrated to be preferable over the traditional approach of storing water in small reservoirs. Such reservoirs are subject to evaporation and contamination. Sand dams are now being used by communities during the dry seasons by digging wells. The sand dam has been awarded as a best practice by the government of Puntland and is being replicated by other development organizations. Fog harvesting in Djibouti has also been proven to be an innovative technique to capture water moisture in humid forest regions. A GEF-LDCF-financed project in Sudan indicates that a community-based revolving fund enables local farmers to purchase solar-powered irrigation pumps and gas cooking stoves. The cooking stoves have demonstrated significantly reduced pressure on biomass-based fuel and thereby reduce deforestation. In Djibouti, a three-tiered system of microfinance enables adoption of adaptation technologies and improved seedlings. The poorest populations use a safety net type of financing, then nano-finance and ultimately micro-finance products. In a world of riches, where the top 10 percent of people hold over 60 percent of the region’s incomes, these innovative measures are going a long way to even the playing field and empower poor people to build strong climate resilient enterprises. Hard and soft approaches for coastal adaptation are being promoted in line with Integrated Coastal Zone Management (ICZM) principles in both Tunisia and Egypt, where hard infrastructure designed outside of an integrated plan led to significant problems with erosion, salinization and coastal flooding. In response, various ‘soft’ approaches are being implemented such as living shorelines, beach nourishment, vegetative buffers and dune rebuilding measures with native palm and posidonia grasses. A new GCF-financed coastal adaptation project in Egypt will expand the use of low-cost dikes systems to prevent the flooding of low-lying lands of the Nile Delta, home to 25 percent of the Egyptian population. Throughout the region, UNDP has worked to promote the diversification of livelihoods for farmers and pastoralists by enabling them to exploit natural resource-based value chains or to use adaptation technologies. UNDP is supporting countries throughout the region in mobilizing funds from the Green Climate Fund to mainstream and accelerate climate change adaptation actions. Most recently, UNDP assisted Egypt in accessing a US$31 million grant from the GCF to protect agricultural areas near the coast, and the vulnerable communities that rely on them, and to help prevent the risk of displacement. In Djibouti, new agro-meteorological stations are monitoring floods and drought for communities who have been trained in early warning systems, disaster risk and in collecting data produced by the equipment. Automatic weather stations and rain gauges have been installed in targeted communities covering six states in Sudan, increasing coverage for weather monitoring by 30%. These stations help with effectively monitoring extreme weather risks by providing climate and rainfall readings for farmer groups. People lining up to get water from a borehole. Photo: Adriana Mahdalova / Shutterstock. A lack of capacity to deal with the impacts of climate change in coastal zones represents a significant risk for the people of Tunisia. Innovative adaptation strategies are needed to proactively address the risks posed by climate change on populations and key socio-economic sectors in Tunisia’s most vulnerable coastal areas. A project to Address climate change vulnerabilities and risks in coastal areas of Tunisia, financed through the Global Environment Facility's Special Climate Change Fund (SCCF) is working to promote innovative adaptation strategies, technologies, and financing options to build the resilience of this diverse and economically significant coastline. Across the region some 108 million hectares of vital ecosystems are under improved management and protection thanks to UNDP-supported initiatives. A whole-of-systems approach has been shown to benefit entire ecosystems. In Egypt, this approach was essential in the identification of new sustainable business opportunities, and the creation of commercial services plans for selected parks, where visitor facilities in protected areas are being improved through partnerships with private sector companies. Sustainable practices in the management of forestlands, rangelands, and arable land are being introduced in the Qaraoun Catchment in Lebanon. In the targeted sites, these interventions will lead to the alleviation of land degradation, the conservation of natural habitats to maintain ecosystem services, and the restoration of natural productivity leading to improved livelihoods for local populations—with the potential to be replicated across 78,000 hectares. With support from the joint UNDP-UN Environment National Adaptation Plans Global Support Programme (NAP-GSP) and the Least Developed Countries Negotiators Support Programme (LDC Negotiators) several countries in the Arab region are building more effective climate governance, increasing capacity and strengthening institutions. Learn how Somalia is connecting disaster risk reduction, climate change adaptation and sustainable development to reach 2030 Agenda and Paris Goals, and building a new proposal for a GCF grant for National Adaptation Plans. UNDP and UN Environment are partnering with the League of Arab States, the Arab Water Council, UNISDR and WFP to set up a new regional platform for action called the SDG-Climate Facility. The Facility will focus on developing capacities to enact new policies and operational frameworks that ‘de-risk’ climate investments aligned to the Sustainable Development Goals (SDGs), addressing the pressing challenges of poverty reduction, women’s empowerment, rapidly growing cities and more frequent climatic disasters.